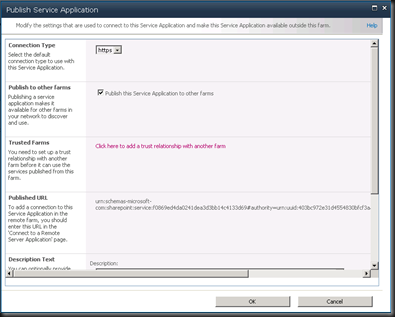 In this small series of blog posts we are connecting SharePoint 2010 Service Applications to different farms. 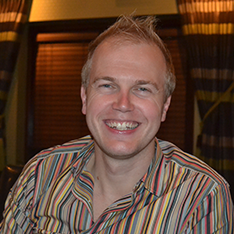 In the first post (click here), we created a trust between the two SharePoint Farms which is a dependence of publishing and connecting service applications. 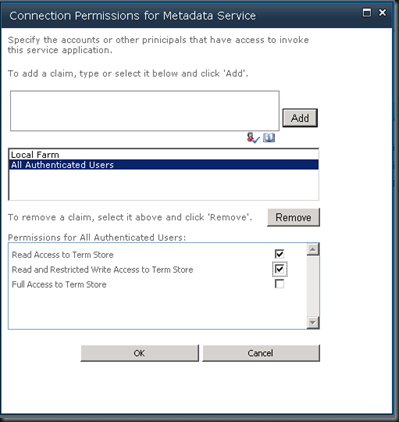 In this post we are going to connect the Metadata Service from a publishing farm to another and also configure permissions to this Service Application. 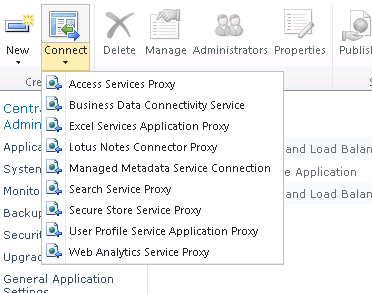 Open Central Admin and click on Manage Service Application. 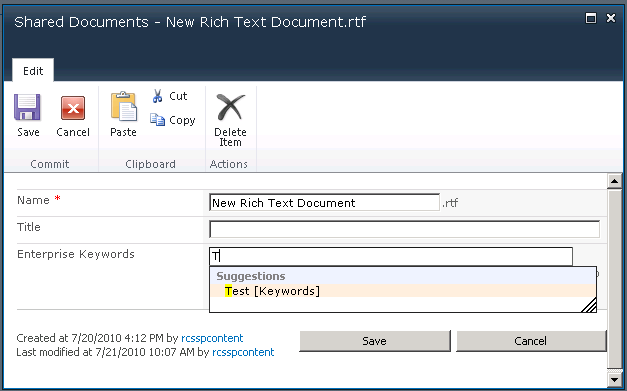 Select the Metadata Service you have already created and click on in the Ribbon. 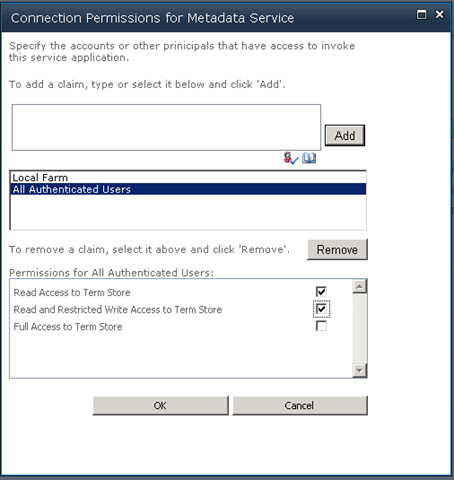 Select the Metadata Service Application from your list and click on Permissions in the Ribbon. You need to add that ‘All Authenticated Users’ have ‘Read Access to the Term Storage’ and also have ‘Read and Restricted Write Access to the Term Store’. 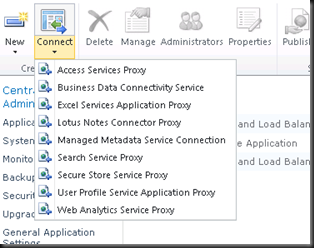 Open Central Admin on your Receiving Farm and click on Manage Service Application. 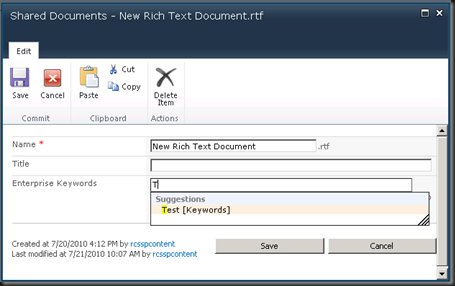 Click on Connect and then Managed Metadata Service Connection. 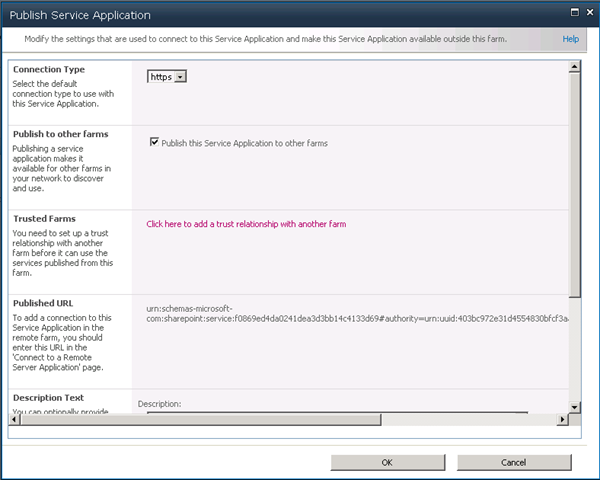 You are now give the chance to the name the Service Application Connect. Make sure you give it a good name that will reflect the connect and service application. We have now successfully connected this Service Application to the receiving farm.